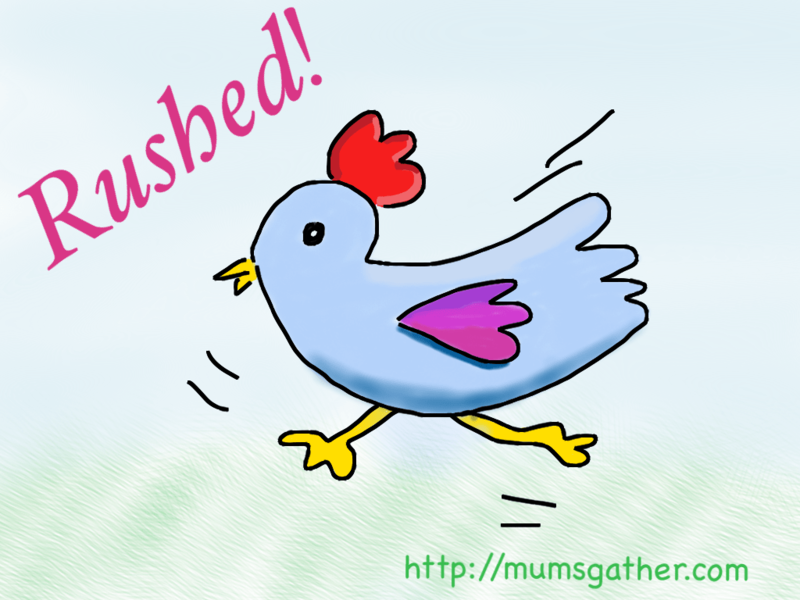 Rushed! That’s what I have been feeling for the past few years. Seems like I am always rushing around to do something or other. I’m always running after the kids and the man. I literally run after them whenever we go out to the mall. At home, I’m always rushing too. I’m so rushed, I clean my bathroom as I shower with one foot scrubbing the bathroom floor. At the moment I’m rushing to edit my content that has been moved from Squidoo to HubPages. After the transfer, many of my images were misplaced, videos missing, and links were stripped. I have edited 116 pages but I still have another 68 to go. Its killer work and not a lot of fun. I just edited about 12 this morning and got bored, that’s why I decided to update this blog instead. Its been too quiet around here for some time. I’ve been rushing to learn new things too. Baking. Digital Drawing. I’m so pleased I managed to figure out how to use layers in drawings. Yay! That was worth rushing to read, learn and draw at the same time. The above rushed cartoon is one of my first few digital drawings done by using layers. I’m really happy about that. Now, its time to go off to rush to do some housework so I can get back to editing. Its also the end of the year so I have to rush to teach the boy his history and Chinese. Have to rush to learn those Chinese chapters from his book so that I can guide him. Rush! Rush! Rush! That’s the story of my life. What’s yours? You did a great job on that image even though you were rushed! I took a calmer route and became a ‘Squidoo Escapee’ as I opted out of the transfer. Funny thing, I wrote about it today, too… I am a whirlwind of activity and loving it! Hi Ruth. I love how you love being a whirlwind of activity.You’re probably busy spreading sunshine all around.